Dozens of students, faculty, and staff spent the last week of winter break on Texas Law’s ninth annual Pro Bono in January trip to the Texas Rio Grande Valley organized by Richard and Ginni Mithoff Pro Bono Program. 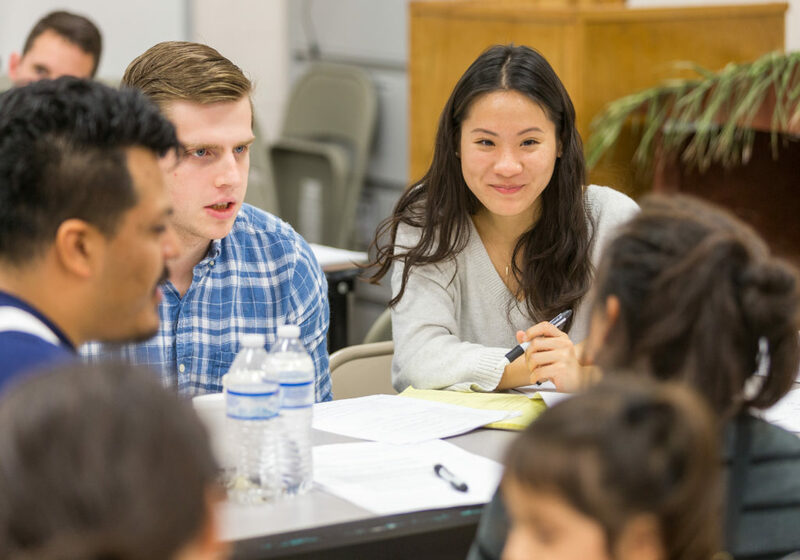 After two days of orientation activities and training, fifty-four students spread out across the Valley in four teams, providing 1650 hours of free legal assistance to low-income residents and legal nonprofits. Thomas Sekula ’18 and Julia Wang ’20 counsel a family at a clinic in Alamo, Texas. The Clinics Team, thirty-six students headquartered in Pharr, worked on a variety of projects in partnership with Texas RioGrande Legal Aid (TRLA) and local volunteer attorneys. They helped prepare wills, transfer on death deeds, and homestead tax exemption applications for 155 homeowners in Cameron and Hidalgo Counties. At the Region One Education Services Center in Edinburg, the team counseled over 50 young adults with disability and their families about alternatives to guardianship and, in some cases, helped them draft supported decision-making agreements. The team also spent an evening at an Alamo community center helping immigrant parents prepare legal documents to authorize other adults to care for their children in the event the parents are detained by immigration enforcement. ARISE, a local nonprofit, helped organize the event. Three other teams, each with six students, worked on separate projects. The Public Defense Team worked with TRLA’s Public Defender Division in Starr County, providing research for cases and helping with misdemeanor intake in court. They also observed voir dire for a misdemeanor trial and closing argument in a hearing on whether to certify a juvenile charged with capital murder to adult court. The Asylum Team worked in TRLA’s Brownsville office on asylum cases. They completed three petitions for asylum seekers who had recently been released from a federal immigration detention facility. The ProBAR Team worked in ProBAR’s Adult Office in Harlingen assisting individuals at the Port Isabel Detention Center apply for asylum and cancellation of removal. They spent the majority of each day working with clients inside the detention center. 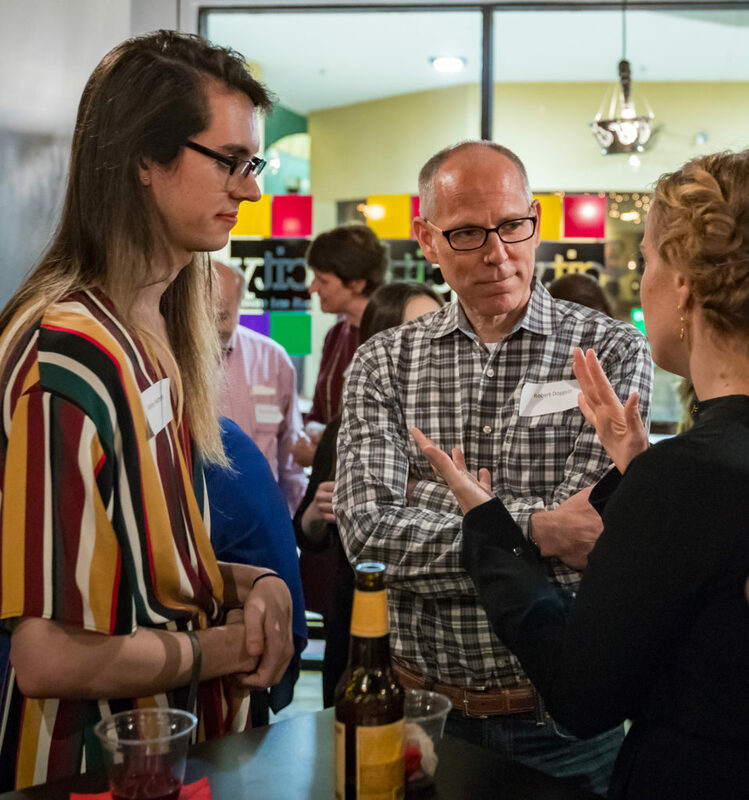 Wesley Hartman ’18 and Professor Lucy Wood talk with Robert Doggett, executive director of Texas Rio Grande Legal Aid, at the PBinJ alumni reception. The PBinJ group consisted of a mix of second and third year students, some of whom helped plan and lead the trip, plus first year students. For many, the week offered their first opportunity to apply their legal knowledge and skills. “As a 1L, the trip was very valuable because it allowed me to interact with clients. It really provided me with a new perspective on lawyering after a heavy first semester course load. I also loved getting to know and forming meaningful friendships with people outside of my section and class year,” said Kate Moody ‘20. The students also met with immigration attorney Lisa Brodyaga about her work founding Refugio del Rio Grande and representing clients since the 1970s; observed federal sentencing proceedings and met with U.S. District Judge Ricardo Hinojosa in his courtroom; visited the Cameron County District Attorney’s office; and attended a reception for Texas Law alumni in the Valley. In addition to the trip to the Rio Grande Valley, eleven students traveled to Karnes City to assist detained female asylum seekers. 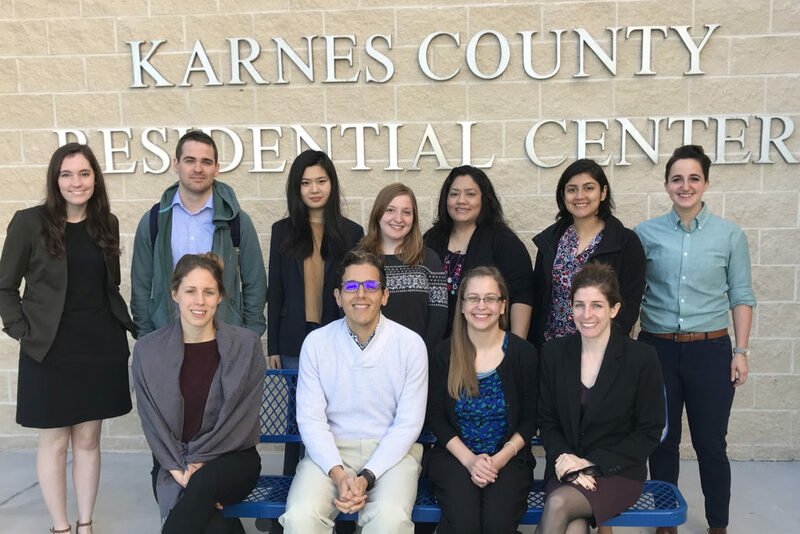 Outside the Rio Grande Valley, eleven additional pro bono students travelled to Karnes City, Texas, to work with RAICES helping female asylum seekers detained with their children. The Karnes team contributed over 350 hours of pro bono service. Faculty members of the Texas Law Immigration Clinic supervised their work. 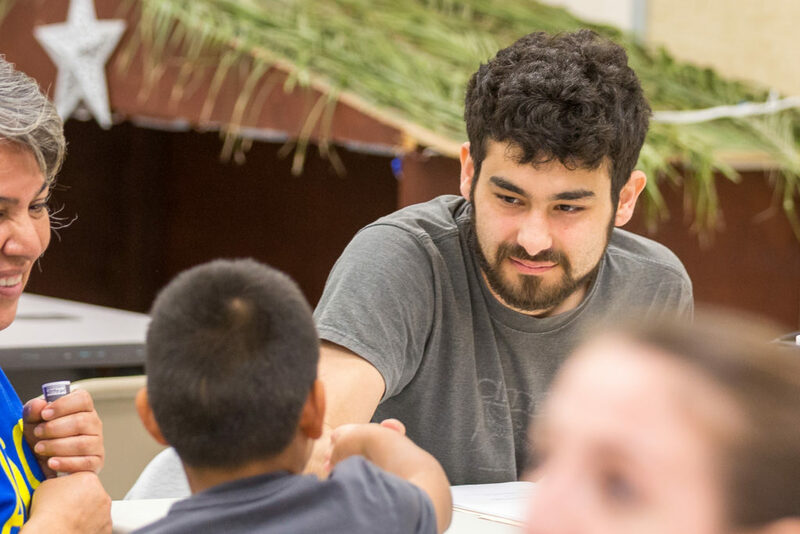 “Texas Law’s winter break service trips provide great opportunities for our students to help meet legal needs in south Texas, and they are opportunities we’re able to offer only because we have such strong partnerships in the Valley and at Karnes. We owe a huge debt of gratitude to the legal service organizations, community groups, and volunteer lawyers who make our winter break pro bono work possible,” said Mithoff Pro Bono Program director Andrea Marsh.